When I was a kid I grew up playing squash at a recreation centre with my family. A membership for kids were dirt cheap and you could play all you wanted. You better believe that I got my money's worth! Squash only got expensive when I began competing in competitions all over North America. Once you begin competing in tournaments outside of your hometown you obviously are playing for more than just fun. You want to win and this is where you end up taking lessons, attending clinics and squash camps. I still believe squash can be played cheap at public courts and kids can still progress with little funding. But there is not doubt that kids with access to more resources (court time, coaching, etc) have a big advantage. The main expenses of getting started is a membership and equipment and then of course if you want to learn how to do stuff properly, professional coaching. If we want squash to continue to expand outside of private schools and fancy country clubs we all have to make it more accessible. If we become more inclusive we may find some kids with talent and passion for the game and will practice for reasons other than hoping to play on an Ivy League team. We all see how well Urban squash programs are doing in the U.S., but not every city or coach can participate in a program like this. This is something I hope to change. My idea is for every coach and squash club to give a free junior membership and 2 free lessons per month to 1 underprivileged youth per year. Potentially a racquet supplier would get involved and be a title sponsor and would provide the chosen children free equipment. That's the extent of my ideas so far. I don't know how many squash coaches or clubs there are in the world, but if all of us joined forces we could make a big impact on a lot of children and get more kids into squash. We could also make squash more accessible to people that wouldn't otherwise have an opportunity to be a member at a club, own equipment and have access to regular professional coaching. How to get it launched and get other coaches on board will be the challenge. Plus, if it got to that stage determining how kids or parents apply and deciding which child is accepted into the program. This could prove to be quite a challenge and I would need some help from a committed group of people to get this project off and running. If you have any opinions or are interested in joining me on getting this program off the ground please feel free to contact me at info@serioussquash.com. Today is geared more towards advanced players, but a lot of it is still applicable to any skill level. Is your opponent dominating the T? All of us that have played at a decent level of squash understand that one of the most important skills is being able to get your opponent off of the T and into the back of the court; if we can accomplish this they are furthest from the front wall and we have time to regain the T. For beginners being stuck in the back of the court is almost always the end of the rally, their only goal is to get the ball back to the front wall. When we get a bit stronger we have options from the back and unless you're under a lot of pressure you often more options than it may appear. We know who controls the T generally wins the match. Today I'm going to talk specifically about how to get your opponent off the T and into the back of the court from the back corners. The simple theory is to hit the ball tighter or wider which of course will help, but there are others tactics we can try which can allow us to achieve the same outcome. Hit It Tighter: we all know hitting it tighter is a goal of playing winning squash. Being able to do this under pressure with little space in the back corners is quite difficult. To hit good length when pinned in the back corners you have to know how to shorten your swing and flick the ball high and deep, and oh yes tight! It takes a lot of practice to get good at this, but it can be done. It has to be high because we don't have enough force otherwise to get the ball deep, but we also have to hit it tight because we have no other options and are opponent will be waiting to volley our shot if we don't execute it properly. Change the height of your drives: I was guilty of this for a long time too! Many of us focus so much on hitting the ball tight that we don't think about the height of our drives. The height that most drives are hit to get to the back wall go through mid court around shoulder height. Shoulder height is comfortable for people to volley and attack especially if they are off the wall. If we hit the ball lower or higher it will be much more difficult for your opponent to handle. Pick up the pace: the harder you hit the ball the less time your opponent has to react. The danger here is that this also gives you less time to get out of the corner and back up to the T. If you want to pick up the pace you will generally get away with being a bit less accurate. Hit Your Crosses Wider And Deeper: many of us have heard that we should hit the ball straighter. I can't argue with this previous statement, but I do say what gets people in trouble is not always the fact that they are hitting crosscourt, but that it is that their width is not wide enough. If you don't hit the ball wide enough the ball will be able to cut it off. Most of us spend a lot of time working on our straight drives and not as much on our crosscourt length; it's no wonder most people can't hit a good width. For me a good width means that it is out of reach of your opponent so they have to move back to play it, normally this means hitting the sidewall across from where your opponent is standing, but this can change if they aren't looking to volley. Furthermore a more successful width limits what options your opponent has left. A good rule on crosses is if you've hit a good width your opponent should not be able to hit the ball back crosscourt. Knowing you've hit a good width and your opponent is unable to hit it back crosscourt means you are now in a good position to cut down the court and look for either a straight drive or a boast. Remember that this goes both ways. So if your opponent hits a good width and you are limited with your shot selection there isn't much you can do besides try and execute the given shot to the best of your ability. The real problem was your prior shot that gave your opponent enough time and space that allowed them to hit this excellent width. Lateral T Position: many players will cheat to cut off straight or crosscourt drives. Especially when you are in the back backhand corner where we can't generate as much pace, strong players will be expecting a certain shot (straight or cross) and will be looking to cut it off. If you notice your opponent is poaching to cut off all of your straight drives hit it crosscourt; if they are always waiting for a crosscourt, keep it as straight as possible. If you do this long enough you will find a few times where you can sneak in the alternative shot to keep your opponent honest. Just make sure that you hit your crosscourt extra wide, with pace or high and soft if you are playing someone that hunts crosscourts. If you're playing someone that is overly aggressively looking to cut off your straight drives then try your best to hit at a height or pace that makes it difficult for them to volley. This of course means you need to be set with time in the back to do so. It's very difficult to hit accurately when under pressure and this is when we are slowest to clear. Depth of T: some people hang far back and a few too high on the T. When you're too high on the T you don't have enough time to get to the back corner and hit an effective shot. When you're too far back you may block your opponent's clearing path and you are susceptible to a short shot. Finding the right depth on the T so you can cover both the front and back, clear around your opponent properly and most importantly give yourself enough time to get back to the corner and hit a decent shot is key. This is why most people drift further and further back as the match wears on; they get tired and drawn back from all the length being hit. If you are aware of this maybe you shouldn't be hitting a length from the back, but attacking short. If you find yourself too far back on the T practice your length with a small target for returning to afterwards on the T. To improve T awareness and movement, I'll often have people touch a target up on the proper T depth between shots with their foot, racquet or even racquet handle. Become Less Predictable: I'm going to discuss predictability here in shot selection, bot disguise or deception (which is next). Amateurs normally hit crosscourt when they have to, not when they want to. This is one example of someone becoming predictable. If you watch and play enough squash you will pick up some players tendencies. Another popular one is most people hit their forehand lengths all crosscourt and their backhand ones straight. If you find this situation developing over and over you better be careful. If your opponent is guilty of this come up with a strategy to take advantage of their pattern. Learning how to exploit a predictable pattern and force someone to adjust can instantly change who has the upper hand. Disguise Your Shot: if you arrive at the ball with enough time and space you will have option See below for a great picture of Joe Lee, who although is in the back backhand corner and the ball is only a few inches off the wall, he is prepared early and can hit the next shot anywhere. This is why his opponent's T position is neutral. I find that most people don't concentrate on disguising their length from the back of the court. If you are under pressure you don't have this luxury, but if you have some time and space you should think about your posture and prepare the same way for your straight and crosscourt drives; in fact Lee could hit to any corner from the below setup. A good condition game for working on this is 1 player can only hit to 1 of the back corners and the other can hit anything deep. The player who has to hit everything to the 1 corner will have difficulty returning a good crosscourt with a crosscourt. Learn how to watch on the T and read your opponent's body position. 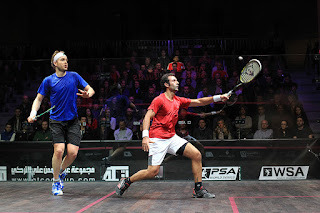 Most people open up their shoulders and hips earlier when they are gong to crosscourt. If you do this condition game your goal should be to get all of your crosscourt by your opponent. Don't Give Up The T so Easily: until you get to a high level most people always prefer to let the ball bounce so they have more time prepare and decide what to do with the ball. Taking your time can have its benefits on your shot accuracy, but it also gives your opponent extra time to get to the T. Just because the rules state that the ball can bounce once, it doesn't mean it should! Learn how to dominate the mid-section of the court and you will have to worry less about how to get your opponent off the T.
Under Pressure/Knowing When We Don't Have Options: okay, so you're under a lot of pressure and you either don't have a lot of time or space in the back corner. Here a more skilled player can play open stance or adjust their swing to produce the desired result (get it deep). But this post isn't about how to get back a shot under pressure in the back corner. Just know that if you are under a lot of pressure play the simple shot. Sometimes people try to do too much under pressure because they know their opponent has them trapped. If you're under this much pressure just try your best to hit the ball straight, high, tight and ideally deep. This is a skill set that can be achieved to a high level of accuracy if practiced. I've discussed a lot of different ways to get the ball back deep and even 1 tactic for avoiding this situation in the first place. It's incredibly challenging learning how to move backwards to play the ball out of the back corner and to be able to hit it deep again. We need to have quick racquet preparation, proper footwork, quick feet, good balance and be able to adjust our swing and possibly our grip depending on the amount of space and time we have. If you have the technical and physical skills to hit length from the back then you may be ready to attempt some of the more advanced ways like disguising your shot. As you can see there are a number of ways that you can improve your ability to get your opponent off of the T. The stronger the opponent the tougher this will be to accomplish, but this should still be your goal. Learn how to get your opponent off the T and your opponents will begin looking for tips like these so make sure not to share them! Enjoy your battle for the T and one you get it don't give it up so easily. Remember there are plenty of ways to improve your ability to get your opponent off the T; not simply hitting it tighter (although that does work too!). Today I'm going to discuss coaching education. I know, how exciting? But it is something that is important not only to us coaches, but to the parents, athletes and for our employers. We often believe the higher the certification the more qualified the coach, but is this always the truth? When someone chooses a squash coach they likely don't have many options. Unless you live in a big city with a lot of squash courts you likely only have 1 or 2 options on which coach to choose. If you are fortunate enough to have a choice, how do you decide? Is it who is cheapest? Who has availability? Or do you simply want the best coach? If you want to select the best coach how do you go about doing this? Is a level 5 coach better than a level 4 coach? A 4 superior to a 3 and so on? See I went and did my masters in coaching to become a better coach; bottom line. Over the years as I've applied for a few coaching jobs they always ask what my certification level is. I would tell them it was 1 or 2 or now almost done 3 and I also mention that I did complete a 2 year masters program in coaching studies. A few years ago I was told I was a runner up for a Canadian coaching position because I had not completed the level 3 certification, although I had completed all of the courses. So this club hired someone from outside of Canada with a completed level 3 who I might add does not have a masers degree, yet alone in coaching! That felt like a ridiculous reason if this was the truth especially since this club did't have any elite players. Is there a benefit to the members of a squash club in having a level 3 certified coach? I guess to this one there was. So you can see I've had some challenges with the certification system and what it stands for. I'm more focused on becoming the best I can be, not just what just looks good on my resume. I see a lot of coaches get hired simply because they are former PSA players. This is a club hiring a name. It surely doesn't imply that this person will or won't be a good coach. I know many coaching positions are taken up by ex-PSA players instead of professional coaches. So there clearly are times where certification doesn't seem to matter. About 15 years ago I did my level 1 course with one of the most famous squash coaches in Canada. He had been coaching for over 20 years and had no certification. Did he learn anything from it? I don't know, but I marvelled at how attentive and interested he appeared to be taking an introductory coaching course after coaching so many top kids and one of the biggest programs in North America. I've often though about getting certified for my level 3 and take the level 4 courses. I don't know if that will ever happen. I've always wanted to coach a National Team and this is the only way I would be able to do that here in Canada. But I haven't enjoyed the certification process thus far. Coaching courses have had a minimal impact on my coaching education and ability. Where I have learned most is from being on court teaching. I've also learned a lot from working with and talking with other coaches. I know squash is a small scale sport, but I believe a mentorship coaching program would be far more valuable to my development. I am fortunate that I have been able to work alongside a couple of great coaches and they have greatly assisted with my development as a coach. Reading books, watching and thinking about squash is learning and are all methods of self-improvement. We don't get credit for taking a self-interst in expanding our knowledge. A mentorship program is something I would love to do. I have always wanted to take part in a variety of programs for a short period of time (say a week or a month) to learn how other experienced coaches run practices and teach their students. To me this would be worthy of a flight across Canada or anywhere in the world. Maybe this is something the WSF can look into. Perhaps a group of clubs and/or coaches can volunteer to participate and offer to host temporary intern coaches for a temporary basis. If they could find a way to pay the intern so they can afford to do it that would be ideal. Only by sharing can we truly maximize our potential as coaches. If the WSF initiated this program I would sign up as an intern and host. But come to think of it I would probably only qualify as an intern because I haven't completed my level 3 certification yet! Now it's my time to go on a little rant here on the Coaches of Canada. Coaches of Canada has a new policy which says coaches must earn credit every 5 years to maintain their certification. I know it isn't much, but forcing a coach to do something that maybe isn't going to assist with their development is the wrong approach in my books. Although I can see why this is a policy, doesn't this go against what motivates us? After reading the book Drive I realized that we often lose motivation for doing things we already do when we are forced to do them or external rewards are given. As a coach I am always learning, not to appease my certification but for my own interest and mostly to help the athletes I coach. To be a good coach you have to be selfless and you must continually learn how to improve your skills. Forcing a coach to do it goes against this framework of motivation and isn't necessary. I feel like all good coaches continue learning and those that aren't will just jump through the hoops to keep their certification up and keep a pay cheque coming in. So really, how does this help anyone? Yes, 2 posts in 2 days! That's what happens when I actually get a day off :) I think you're going to find today's post pretty fascinating as it's about something I believe its revolutionary in terms of organizing and running a junior squash program. Let's see if you agree. Relinquishing control as a person in charge of others can be an extremely challenging thing to do. We are brought up through an education system that tells us what to do, what we should learn and how to behave. Imagine a classroom where a teacher told the students they could do anything the wanted in class! Kids are young and how could they know what they should be doing? Because what they should be doing isn't going to match up with what they want to be doing. We feel like we are assisting with their development as we tell teach them what is right and wrong and what they need to learn to lead a happy and fulfilling life. Kids must be exposed to a number of different subjects, sports and activities; kids don't get many choices these days, yet somehow we expect them to be able to make important life decisions later on in life and to enjoy us always telling them what they are going to do next. It's no wonder kids live on their phones these days! We mean well, we want to help our kids and share our knowledge so they can learn from our mistakes. It's a great feeling to help others, but I believe that sometimes less is actually more and can actually assist with their development. Today I'm going to discuss a new practice model I'm currently experimenting with the kids that I coach. I bought a book a year or so ago called 'Drive: The Surprising Truth About What Motivates Us' by Daniel Pink (pictured above with a link to it on Amazon). As a coach I know motivation is the most important factor for a kid loving sport and wanting to dedicate extra time and work hard to become the best they can be. Many of us love squash for a variety of reasons, but I'm always curious how I can increase motivation with the athletes I work with so they will not just enjoy squash, but love it. If a kid is motivated they will work harder and in the end set more challenging goals while improving their chances of attaining them. When I was a little kid I played my first squash tournament at the age of 9. My home club in Pickering, Ontario just happened to be hosting the Canadian Junior Nationals. I signed up for the boys under 12 and I had no expectations because I didn't know what the competition would be like. To my surprise I won the consolation and realized I was actually pretty good at squash which I had jus been playing with my family recreationally. I was a small kid so contact sports weren't up my ally. But after realizing that a person of any size could be a good squash player I began a journey to become the best I could possibly be. I was probably the most motivated and hardest working kid and the following year I started winning most of the tournaments I entered. I would do anything anyone told me to improve my squash game. I wrote daily in a journal about squash (pictured below with the very legible handwriting! ), I solo hit for an hour or more almost every day and I had a home gym I used all of the me even though I didn't necessarily enjoy training. So what does my previous experience have to do with motivation? Well, basically I had no idea what it took to become the best I was just so highly motivated. I wasn't working with national caliber coaches and I didn't belong to a group setting program like the one I currently run. I didn't have court time set aside for me each day. I became the best because of how much I loved squash and how badly I wanted to be the best. I wonder how many kids go through a similar phase like this when they are young. It got me thinking about telling kids they have to be at practice and that today we are going to do this or that and this is how I want it done. It got me thinking that maybe it was the way junior squash programs are being run that is the problem. Maybe if I backed off a bit and let the kids decide what they wanted to do and how they wanted to do it they would enjoy practice more and in turn be more motivated and engaged with their learning process. Well this is the concept I am now playing around with and have learned from the book, Drive. Every Tuesday for the past month I let the kids pick and choose what they want to work on. I will still pick who they work with so there is still interaction among all of the team members, but after that they run the practice. I bring out the ball machine and the other coach and I tell them we are at their disposal, that they can use us for feeding, running a drill or for playing a game with them. I'm still thinking of ways to tweak this so it works best, but I believe that if a kid is engaged at practice no matter what they doing they are better off than doing something that I tell them to do and that they do not want to be doing. At the beginning I was very excited about the concept and I read how much companies have advanced because they give their employees more autonomy. I began to think about the possibilities of implanting this into my training and wondered how it would influence the kids. The first time I tried this I think a couple of the kids looked at me completely lost; they don't get to make choices about anything in their lives, let alone what they want to do in a group training session. So far nobody has said they want to do court sprints, and I'm fine with that! I feel the kids have surprised me thus and have made good use of this time. So although there is a set time for practice, they still have the freedom to practice anything they like. For those interesting in the dynamics of my practice settings. Our Tuesday group trainings run for 1.5 hours and we have 2 groups back to back. Each group will have between 4-8 kids in it depending on the day. I will group the kids in pairs or 3's and let one of them pick first what they would like to work on and how they would like to work on it; a drill, condition game, ball machine, with a coach or with some feeding. If they know what they want to work on, but don't have an idea on what would be a good drill I'll give them a few suggestions and they will pick one of them or tweak it make it their own. Generally after 10 minutes I'll let the other kid pick what he or she would like to do. We will then switch up partners and go through this again for most of the practice. So far I believe that the older kids have been a bit better at running their own drills and knowing exactly what they want to and need to work on. Some of the younger kids I feel don't like to practice what they have trouble with and prefer playing games. I must say I enjoy watching the older kids take charge of their own squash game and I'm excited to see how this develops. I've only attempted this with high school students that have played squash for a minimum of 2 years so far. This is something I am considering to try with the middle school kids (11-14 years old), so I will need to post an update on this down the road. I know it goes against how we were brought up and how we think learning should take place, especially in a school setting, but I always enjoy trying new things and finding methods to improve practices. In lessons I always ask the student what they would like to work on and it's finally time I began to do this in groups. I like this in the group setting because the kids can work on an area that they would like to, which is probably an entirely different area than the kids on the next court. With this method of training the kids will get more individualized practice and hopefully this will help their development and love of the game. I also feel like this gives the kids more creativity in their game and in how they want to practice. When I was a kid I wanted to be the best in the world and practiced relentlessly. Many kids have dreams like this and I'm hoping that by relinquishing control of practice (at least for 1 day per week) that this may light some fireworks and for others rekindle their passion for squash. I know some of you must be wondering about that extra little push we need from time to time to become the greatest we can be and to make the most out of each practice? And what about the kids that don't really want to be there? Well if they don't want to practice they don't have to; I don't want people like that at my practices anyways. If someone needs a push I can still give it to them, but I can give it to them while they are designing and running their own practice. I'm now not the one telling them one to do and how long to do it for, but am their assistant; the athletes are in charge. I can want to produce a World Champion all I want, but in the end it isn't up to me and I wouldn't take credit for it. I may have come up with the idea for Training Autonomy Tuesdays (kudos to Daniel Pink! ), but whatever level the kids achieve it will be because of their effort, passion, goals and dedication. How much control is the right amount to give up as a coach? What about teachers? Can they give up any? Should we? Squash is a sport and kids play mostly because it's fun. Many of the top musicians and artists became the best because they wanted to practice, not because they had to practice. 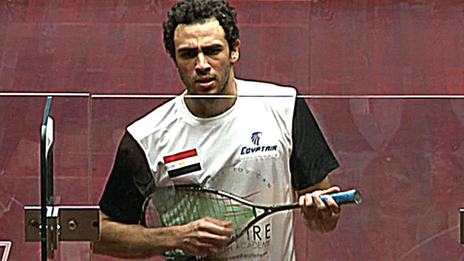 Even on the biggest stage Ramy (above) is in his natural element and enjoying himself; that's part of why we love watching him play. As soon as I start telling kids what to do and that they must practice x number of hours and days per week the fun can quickly disappear. When I start calling all the shots the kids are practicing so they can achieve the goals that I've set for them, which just doesn't seem right. If a kid wants to practice more and sets challenging goals I can let them know what it takes, but I want that to come from within, as it did with me as a young boy. Welcome back to Serious Squash! It's a busy time of year and my posts seem to be happening less frequently these days. I have not forgotten or given up on my side project. I have a lot of planned interesting topics on the horizon. Hopefully today will be an interesting one for all of you. Before I get into today's posts I should thank all of you over the past 19 months that have commented and written me emails about my posts and Serious Squash. I just reached 200,000 page views so I guess someone is reading what I write and finds it interesting. I hope I have got you thinking about squash more in-depth and most importantly I hope that I've helped improved some squash games along the way. Today I'm going to talk about the psychology of playing who we perceive to be stronger players, perhaps even people we believe are out of our leagues. I don't think I can go a post without using a quote and this topic reminds me of this one, 'limitations live only in our minds.' I truly believe we are all capable of much more than we believe. In sports we often give our opponents too much credit and undervalue our own abilities and strengths. Today we are going to look at some ways to change our mindset to help us prepare for success even when we are a self declared underdog. I've played a lot of matches over the years. I've played as the underdog, the favourite and many that could have gone either way. It is no doubt easier psychologically going into a match as the underdog as we have nothing to lose. Although when I hear someone say this I do joking point out that 'you do have the match to lose!' Even though I'm joking I don't want a player going into the match thinking it's a forgone conclusion and there is nothing left to play for. If we go into a match believing that we are a major underdog and have no chance at winning, we might be wasting an excellent opportunity to improve, measure our game and perhaps even pull off a big upset. Redefine Success: I remember often being nervous when I played someone I thought was better than me. Nobody wants to get embarrassed on the squash court. There's nowhere to hid if things aren't going your way. When I was young and playing a stronger player I would always try and protect my ego by saying that one day I will get to this level, I'm just not quite there yet. I feel like by doing this I didn't give myself the best chance of being successful at that moment. Maybe success wasn't winning the match, but perhaps success was something different, like proving that I belong. If we just keep telling ourselves this we will eventually be more focused on the future and missed out on wonderful opportunities in the current moment which we could have potential won. Staying Focused On The Process: sometimes I found myself doing better than I expected in these matches and a few times I let near wins slip away. We see the light at the end of the tunnel and it distracts us. It can be much more challenging than it sounds, but when you're near the end you can't be thinking just that. When I got close to beating someone I thought was stronger than me I started thinking too much about the possibility of winning and beating this great player. Once we start to see the finish line or that we actually have a chance our focus often shifts and we lose the zone we were in that got us in this great position. Regardless of level I assume this has happened to all of us at some point. Maybe some of us undervalue our own ability, while other times our opponent is just not quite up to par that day and we have a real chance of winning. 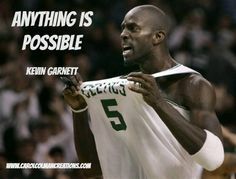 So how do we go in believing we can win? And how can we prepare ourselves psychologically to take advantage of these rare opportunities when they present themselves? Anything Can Happen Mindset: when we go into a match as an underdog I know I often tried to do too much, thinking I needed to do something extra special to beat this person. When I did this, I simply gave my opponent free points and easy openings. We need to make these players beat us and prove that they are better than us on that day. Just because someone has more rankings points or has a more successful past, does not guarantee that they will be successful on this given day. Go in and play to win regardless of who you're playing! We play the game because anything can happen. This is why even you can bet on even the most lopsided sporting matches. It may not always happen, or even often, but it doesn't mean that it won't today. Give 100% For Every Point of Every Match: Everyone has a physical and psychological breaking point, even those that seem indestructible! You never know when it could happen or who it could happen to, so you have to keep you head down and keep battling for each and every point. Someone may look great in the warmup, but as soon as they get into an extended rally you can tell that their game begins to show some cracks. Even if you lose that match, you may have been close than you thought. Maybe all it takes to crack through and get the big win is getting a good start or 1 or 2 extended rallies; maybe then the person you thought was on a pedestal is within your grasps. If you have any doubts just remember that your opponent does, they just may be better at hiding it. Prepare For Competition To The Best Of Your Ability: all we can really do is prepare the best we can for competition. We can't worry about what our opponent has or hasn't done. If we're playing a player of a high caliber we may give them more credit than they deserve. You don't know how they are feeling and how well they have prepared. 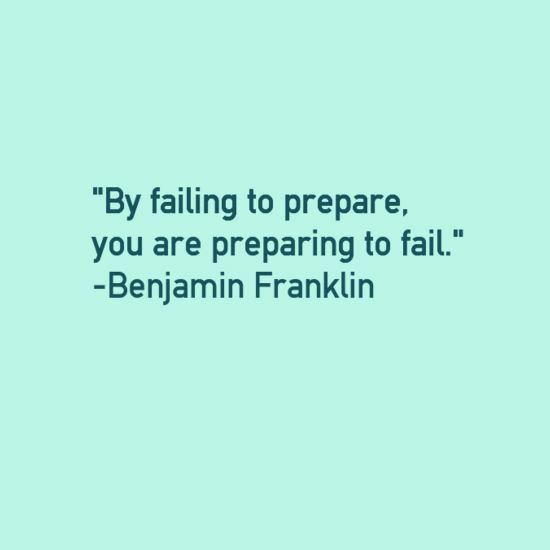 As the saying goes, 'failing to prepare, is preparing to fail.' If you've prepared for the match you have to believe you always have a chance. 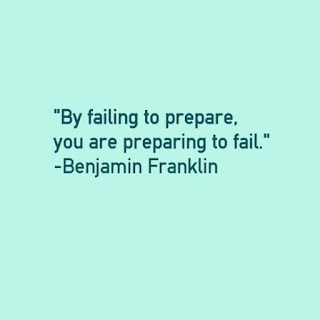 If you've prepared properly you should feel confident. If you've prepared you should also be able to withstand the extra running you may have to endure. I've seen many more technically skilled players lose because they weren't fit enough; this is why proper physical preparation for competition is so important to success. Winning Breeds Confidence: sometimes it just takes a win against a top player to believe in yourself and your ability to compete at that level. The more chances you get to play a stronger player the more likely you are to get that win. Losing too much isn't good ether, but neither is winning all the time. The top players that always win will feel pressure to continue getting these flawless results. I think it's important to play against people weaker, stronger and at your own level. Many people prefer only playing people at their level or stronger, but it's against weaker opponents we learn how to handle that pressure of being the favourite and also get to work on closing out games/matches and controlling points. And as this subtitle goes, winning breads confidence, regardless of the opponents level. Set Mini Goals: when playing a stronger player I like to set mini goals. Sometimes it will be to get a game, or get a certain amount of points. Other times it will be to extend the length of the match and the duration of the rallies. If I'm playing a stronger opponent I should always leave the court completely spent. Other goals I like to set include my tactics. I like to focus on something simple like getting my opponent behind me and off the T. I don't know many players that can consistently beat me from the back of the court. At the end of the match I really want to make sure that my opponent had to work hard for the win. I may be exhausted and have covered more court, but I want to see that they are tired too. If I can do this against a stronger opponent I will feel pretty satisfied with my progress. Slightly Shift Your Tactics: today seems to be the day of quotes, so here's one more! 'The definition of insanity is doing the same thing over and over and expecting different results.' In squash this isn't so straight forward. It's can be difficult to tell if we have the right ideas, but are just unable to execute them well enough. If you believe your tactic is right, keep trying it over and over. I see many people give up on their tactics, because they are trying to do too much to beat this superhuman player. Although if you keep trying the same type of game and it isn't working, maybe it's time to switch it up just a little. Sometimes 1 small change is all it takes. Changing your serve, the pace your hitting the ball or your shot selection can pay real dividends. Even strong players have areas that aren't as good as the rest; do you know what it is? Can you exploit it? Or maybe you've become too predictable and you need to try a new trick. Make sure you don't play outside of your ability though or you will be giftwrapping the match to your opponent. Thanks again to everyone for reading my blog and sending me feedback. If you have any suggestions for future posts please feel free to send them along. Working at a school I also have some flexibility in the months of June-August each year. If any of you would like me to run a squash camp at your club or come to you for some personalized coaching sessions feel free to send me an email. I've also recently started doing some private video analysis for some clients across the globe. 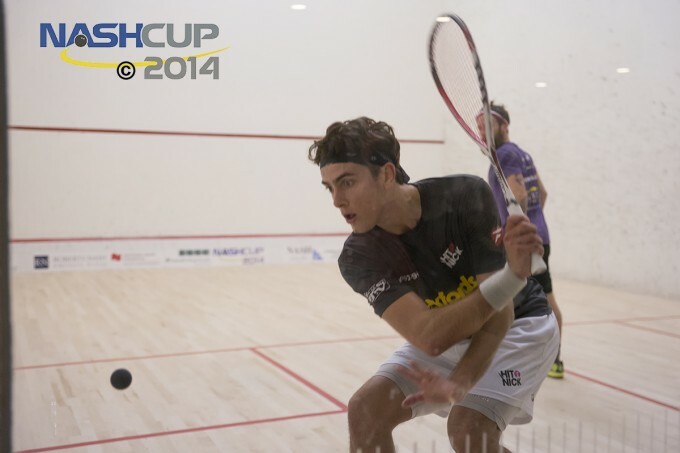 I'm always looking for opportunities to expand my squash networking around the world. Please feel free to contact me at info@serioussquash.com for any topic post suggestions or business related inquiries.